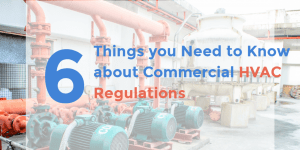 Commercial HVAC Regulations | H & H Commercial Services, Inc. Commercial HVAC Regulations | H & H Commercial Services, Inc.
Commercial HVAC regulations are changing. Do you know how these changes will impact your business? Commercial HVAC mechanical contractors in Philadelphia are becoming increasingly aware many business owners remain woefully in the dark. Commercial businesses consume a whopping 41% of power produced in the U.S. for heating, cooling, lighting, and appliances/electronics, with consumption expected to rise 13% over the next 20-years. This plays a crucial role in the worldwide drive to prevent climate change, safeguard natural resources, and protect the environment. Here HVAC, a leading energy consumer, offers a prime opportunity. 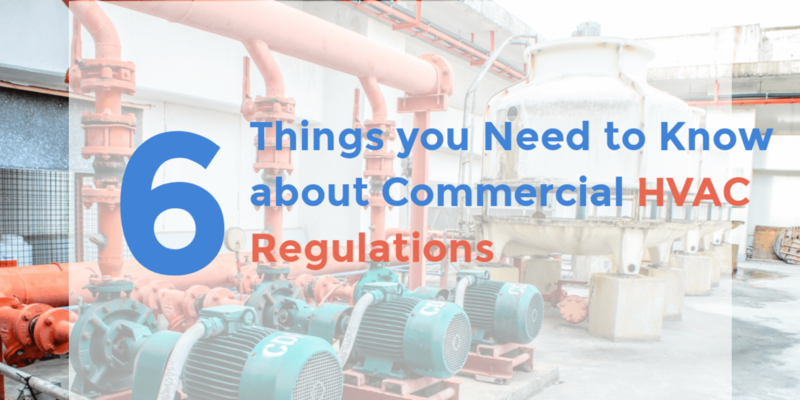 What Do You need to Know About Commercial HVAC Regulatory Changes? The U.S. Department of Energy (DOE) notes over half the commercial building owned in the U.S. utilizing commercial heating & cooling will be effected by current/upcoming changes. New energy code adoption is determined on a state-by-state basis. Though changes vary by state, a number of states have adopted the latest revision for commercial HVAC standards, ASHRAE 90.1-2013. New efficiency requirements for rooftop units , as well as split systems, have already gone into effect as of January 1st of this year (2018), including integrated energy efficiency ratio (IEER) minimums (previously known as IPLV). These will be rolled out in 2 phases, requiring a boost in efficiency on new commercial systems of approximately 13% in 2018, and increasing an additional 16%, on average, over the next 5-years. Though initial investment could be potentially be higher, these newer, more efficient HVAC product purchases are expected to save $167-billion in utility expenditures and reduce carbon pollution by 885-million metric tons over the lifespan of systems purchased nationwide. Rooftop units (RTUs) in particular could save business owners $3,700 per RTU when replacing aged equipment with newer, high-efficiency units (or retrofitting older systems with advanced controls). Multiply this by the typical 20-RTUs an area big box store relies upon, and that’s some serious savings. Modulated scroll compressors, including two-step capacity scrolls and multiples. Staged blower motor fan speeds with variable frequency drives. Larger size due to heat exchanger surface area. Installing compressors in tandem or trio could serve as a cost-effective means of ensuring regulatory compliance with new efficiency standards. Talk to a knowledgeable H&H professional to uncover if this may be a viable solution for your business. Does your commercial HVAC service company have the expertise to ensure your business’ regulatory compliance? Avoid unnecessary fines and expenditures, reducing your carbon footprint with the help of H&H Commercial HVAC Services today. ← Is Poor Humidity Control Taking Its Toll On Your Stainless Steel Pool Equipment?